FIND YOUR SHADE & TRY IT ON! you have added this item to your cart. Searching for a natural-looking air-dried hairstyle without the frizz? 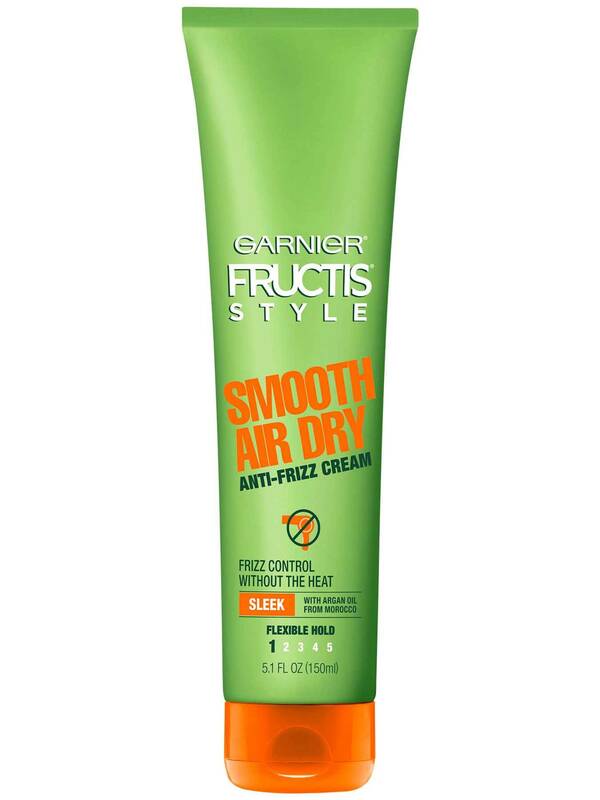 Smooth Air Dry Anti-Frizz Cream disciplines frizz without heat for an effortlessly smooth undone style. 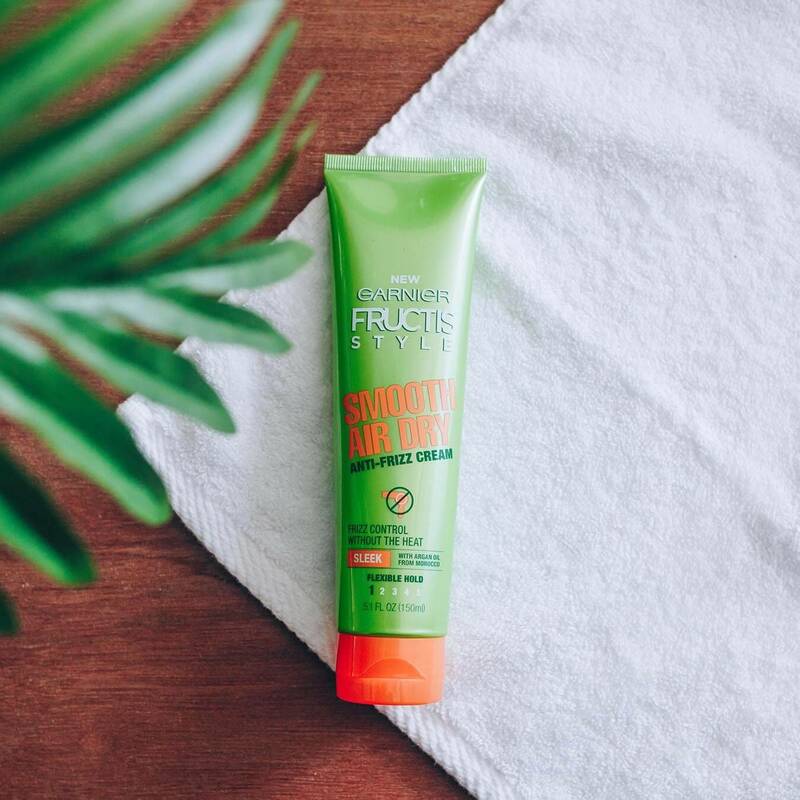 Our lightweight fast absorbing paraben-free formula, with fairly and sustainably sourced Argan Oil from Morocco, controls frizz and holds hair’s natural shape while you air dry your hair. Hair is smooth and shiny with a product-free feel. For an Accentuated Wave, scrunch and twist damp hair around fingers, right after application. For more looks, tips and fun visit our Style Hub. Apply a quarter-size amount to towel-dried hair. Comb through from root to tip for even distribution. Let hair air dry. Can also be used on dry hair to add more control. Rated 5 out of 5 by Nina71 from Love It, But Cannot Find it Anywhere!!! I have been using this and just ran out. I cannot find this product anywhere anymore. This was my after shower and in the morning hair must! I love it. My hair was always frizzy and I was resigned to the fact that it always will be uncontrollable. I found this on a whim and tried it and have used it ever since. Now I cannot find it. Help!!! Where can I buy this product? What stores?? Rated 1 out of 5 by joanne27 from Don't waste your money Based on what the product claims to do and the reviews I read here, I decided to give this product a try. It doesn't cost much, but it doesn't do anything you'd expect it to do. My hair was neither smooth nor anti-frizz after use. I let it air dry, I let it air dry with rollers, and I let it air dry in a twist. In each attempt, my hair frizz was no better with use than it is without it, and my hair also had an "icky" feel after a few hours that it doesn't have without the product. So, net loss. We all dream of hair that will will look sleek and resist humidity even without chemical treatments and/or blow drying, so we'll keep falling for products that claim they can make our dreams come true. This one doesn't, and it's going right into my garbage can. Rated 5 out of 5 by Catsndogs from Great for my coarse, short hair I have thick, coarse, somewhat dry hair. I am older and like to avoid blow drying, especially in warm weather. I rub a dab of this between my hands and run through my short hair, then comb it in the style I prefer. As long as I’m not too active, it air dries exactly that way. The very slight stiffness disappears when I brush it. It leaves my crazy hair in order, no frizz, with plenty of body and shine. I’ve been trying find something like this forever! Rated 2 out of 5 by Blahzel from Bring back SLEEK PRIMER STYLE PREP This product only works when there isn’t humidity in the air. The SLEEK PRIMER STYLE PREP worked all the time... Bring it BACK!!!! You don’t even have my hair type on the bottom!!! Rated 5 out of 5 by NikkiF87 from Amazing Smooth Air Dry Anti-Frizz Cream! 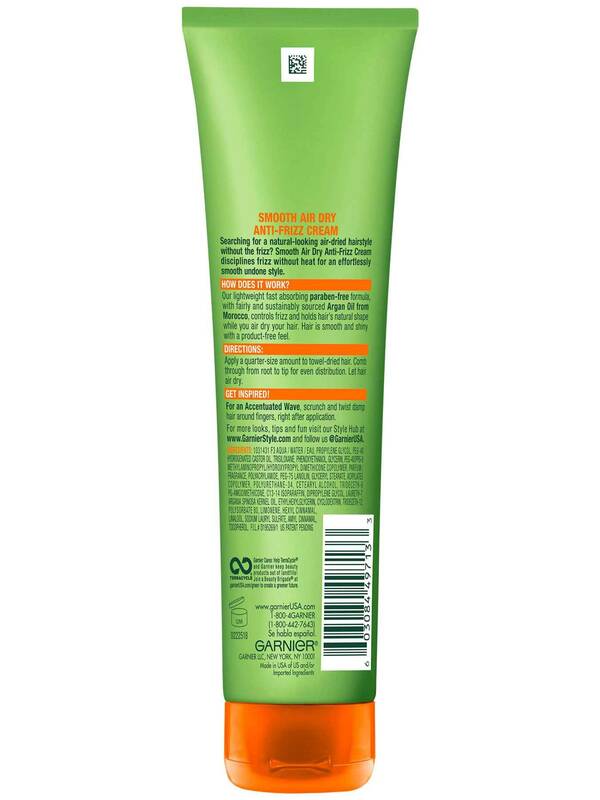 I recently received a free sample of this Garnier Smooth Air Dry Anti-Frizz Cream to try an tame my unruly mane! I was very impressed with this creams ability to actually reduce my frizz! After I took a shower I applied this anti frizz cream as directed, as my hair was drying naturally I could see that my frizz was very much under control! There were no fly aways an it lasted for days after! this cream is rich an thick, it coats every straind from root to ends! It smells incredible! It feels incredible! My hair was shiny, soft, an smooth! I'm definitely going to use this everyday! This has left my hair very manageable an frizz free! My hair and scalp feel amazingly revitalized! I highly recommend everyone try this the results an benefits are off the charts! Rated 5 out of 5 by Sarabooboo from Great for my fine, frizzy, wavy hair!! I never repurchase hair products, except this one. It's light and airy. It allows my fine, frizzy, wavy hair to be itself without the horrors of heat styling. Also, it does not break out my super sensitive, acne prone skin. Such a winner!! Rated 5 out of 5 by lila23 from Only product that gets away the frizz. I have been using the product for a few weeks. My hair is no longer frizzy. I love this product. Be the first to know about brand new products, trending looks, expert advice, exclusive offers and more.